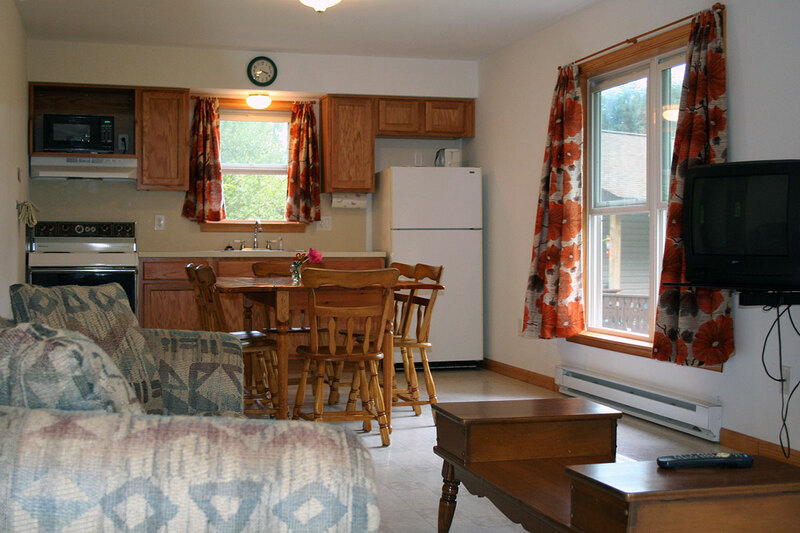 The hillside cottages are located near our recreation hall, one of our basketball hoops and one of our playgrounds. The recreation hall includes shuffleboard, ping pong, a pool table, and a pinball machine. 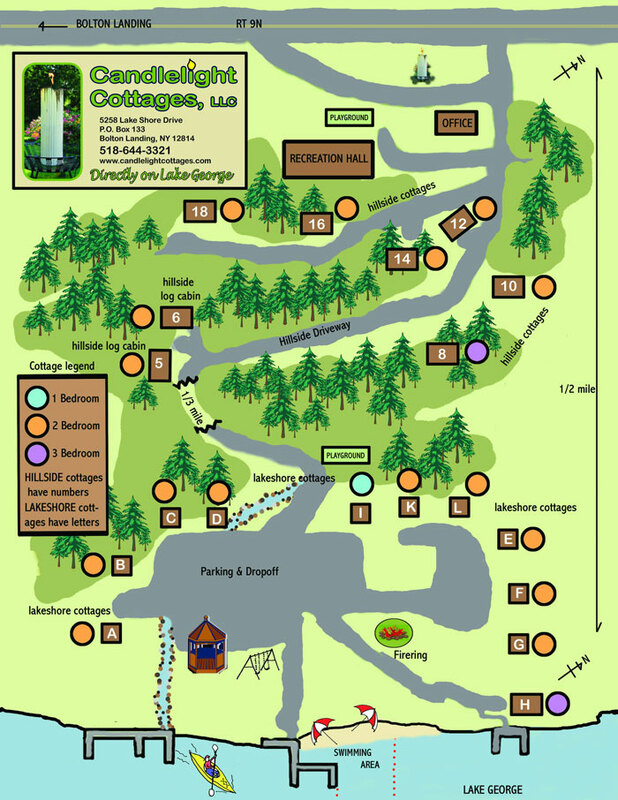 It’s a 10 minute walk or short drive down our private, paved road from the hillside cottages and cabins to our lake front. 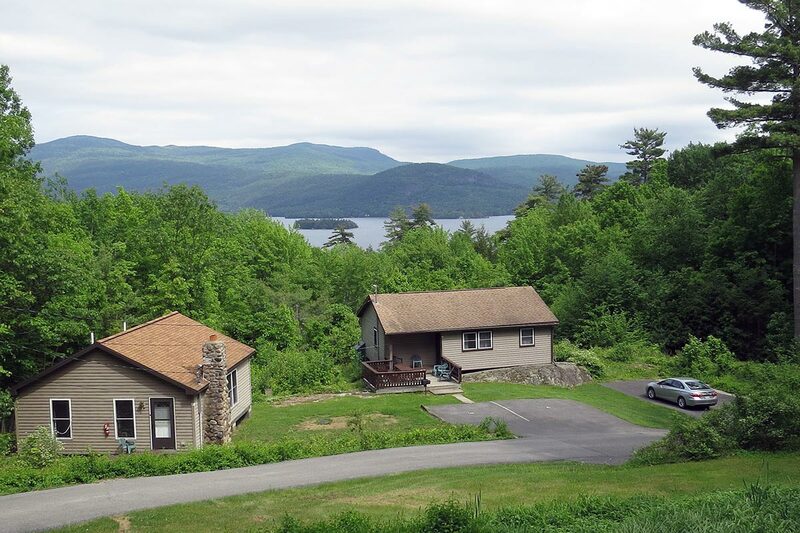 There is ample parking at the lake for our guests staying in hillside cottages and cabins. 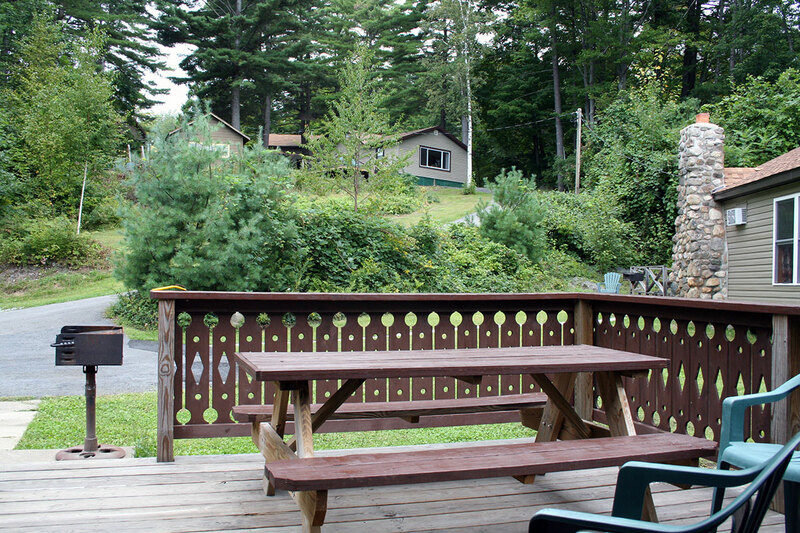 Relax on the deck of one of our hillside cottages. 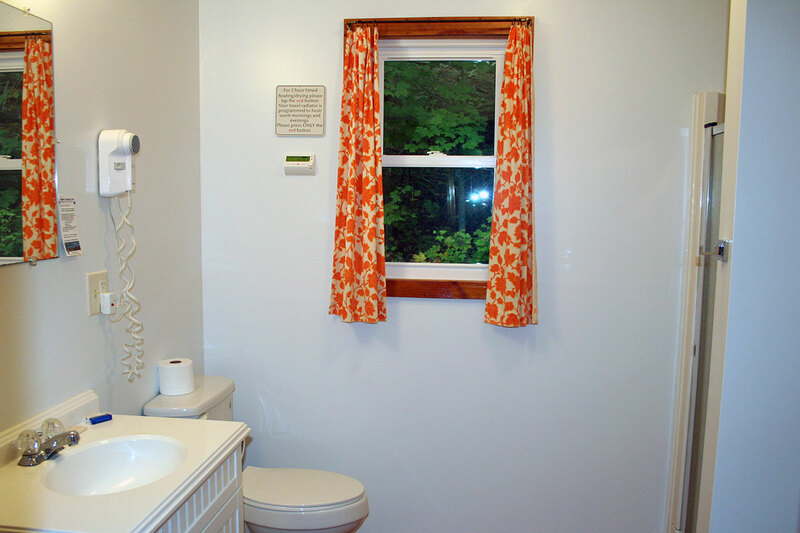 Three bedroom hillside cottage #8. Sleeps up to 9 people. 1st bedroom: Queen size bed. 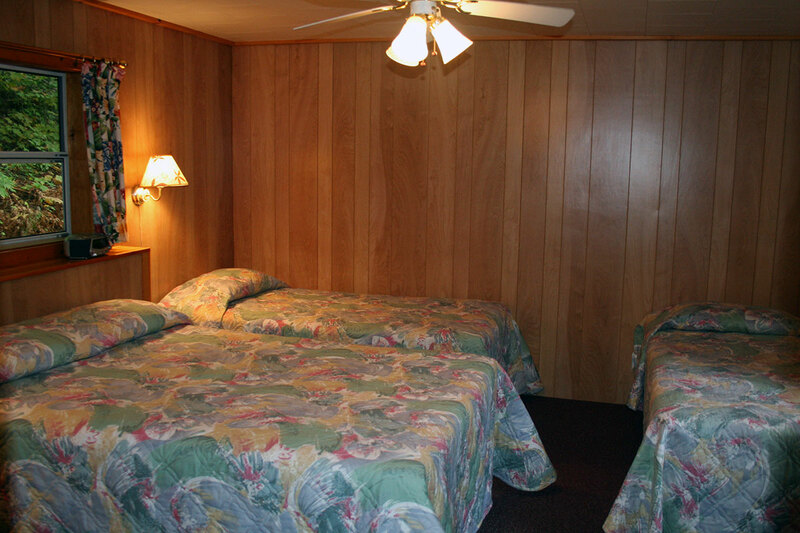 2nd & 3rd bedroom: One double bed and one twin bed. Sofa sleeps one adult or two small children. 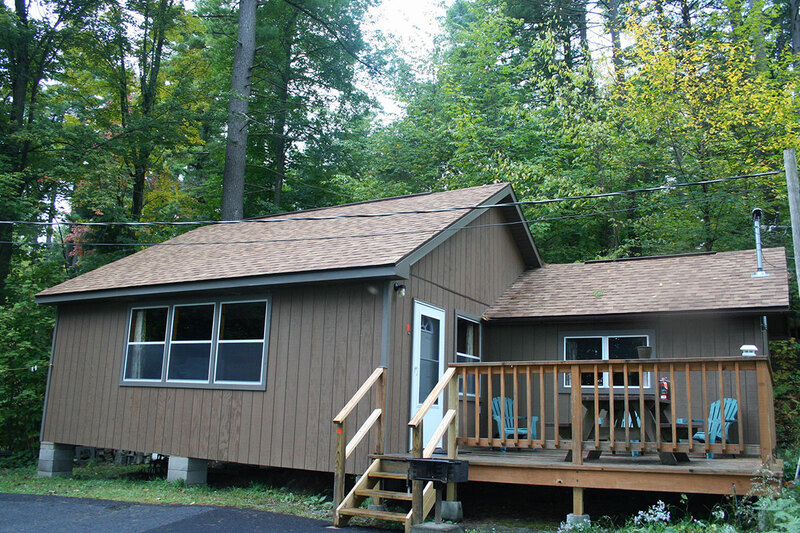 Cottage #12. Two bedroom hillside cottage with lake view. Sleeps up to 7 people. 1st bedroom: One queen size bed. 2nd bedroom: One double bed and two twin beds. Sofa sleeps one adult or two small children. 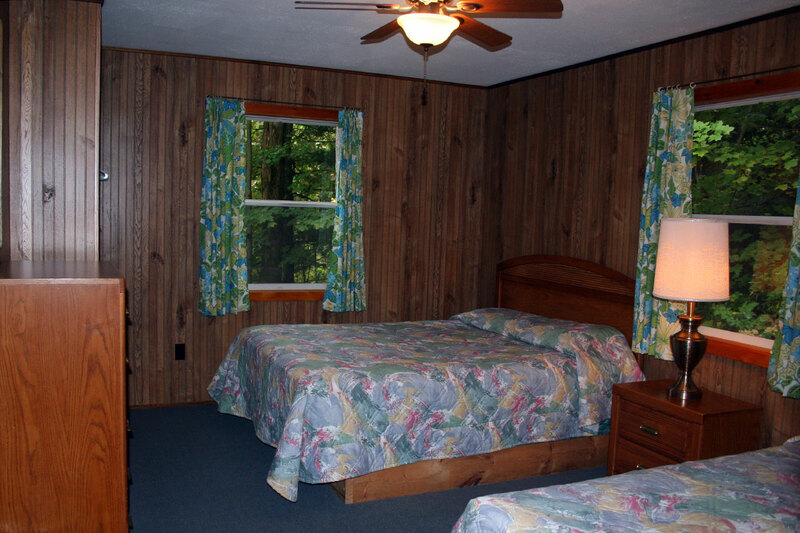 Cottage #8 - Bedroom with Twin and Double Bed. 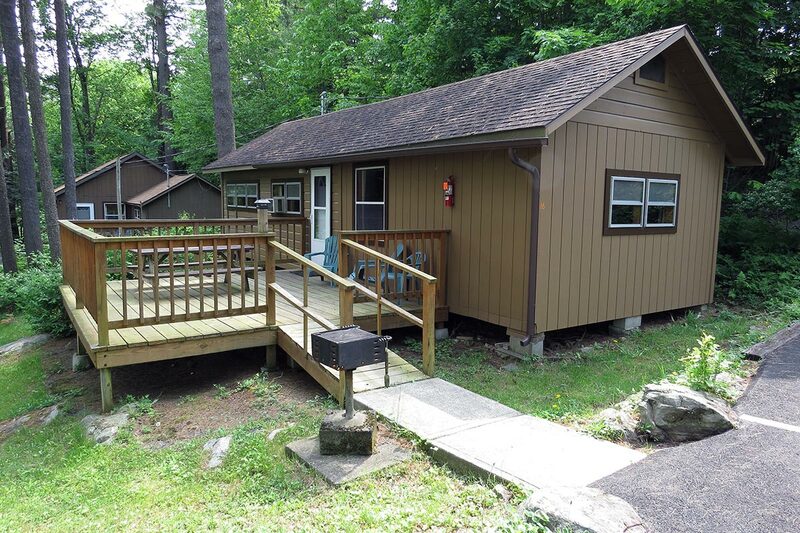 Cottage #14. Two bedroom hillside cottage. Sleeps up to 6 people. 1st bedroom: Queen sized bed. 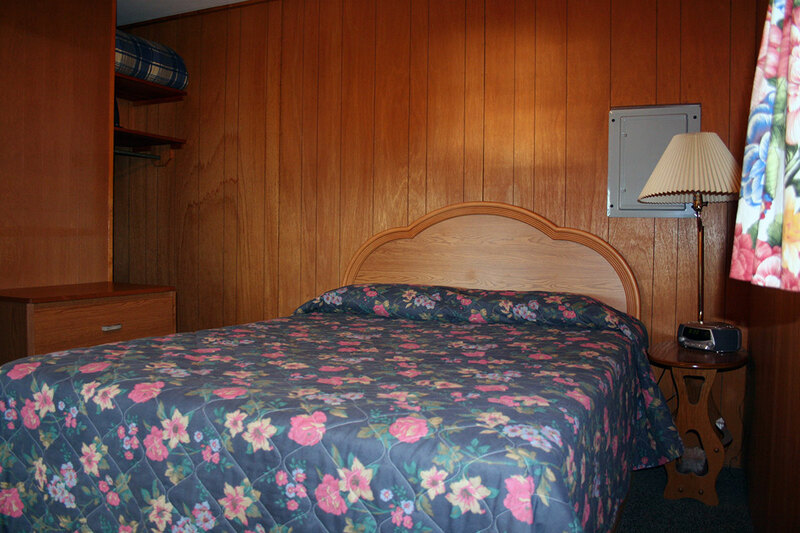 2nd bedroom: One double bed and one twin bed. Sofa sleeps one adult or two small children. Cottage #10. Two bedroom hillside cottage. Sleeps up to 7 people. 1st bedroom: Queen size bed. 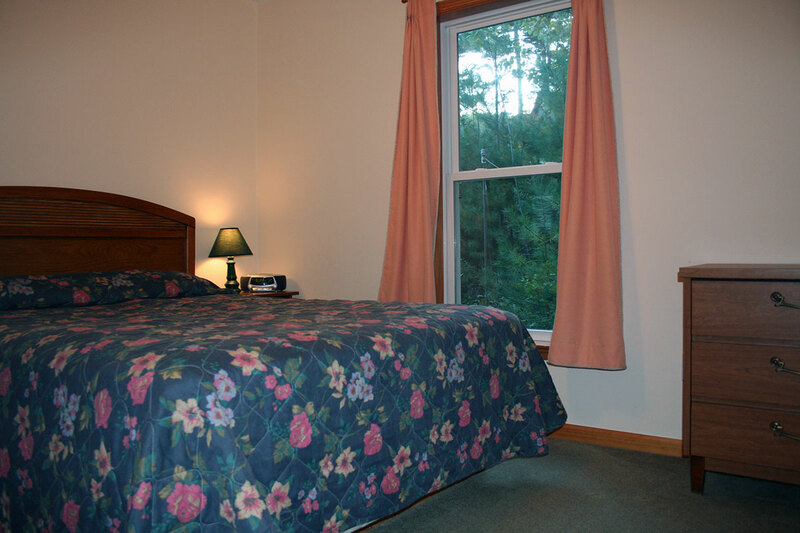 2nd bedroom: One double bed and one twin bed. Sofa sleeps up to 2 adults. Cottage #16. Two bedroom hillside cottage. 1st bedroom: Queen sized bed. 2nd bedroom: 2 Double beds. Sofa in kitchen / living room sleeps one adults or two small children. 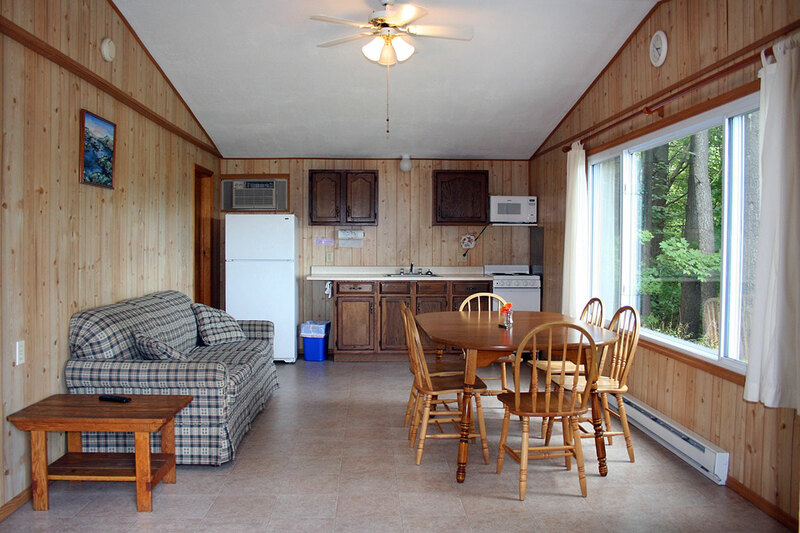 Cottage #16. 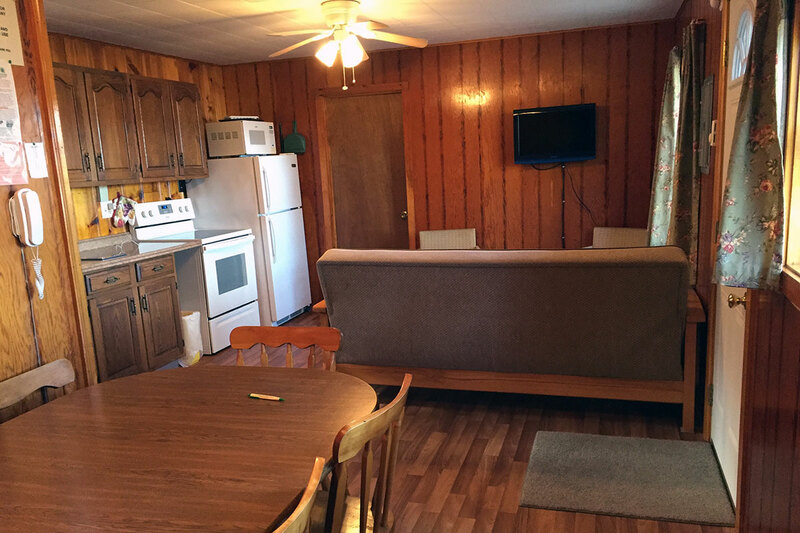 Sleeps up to 7 people with use of sofa. 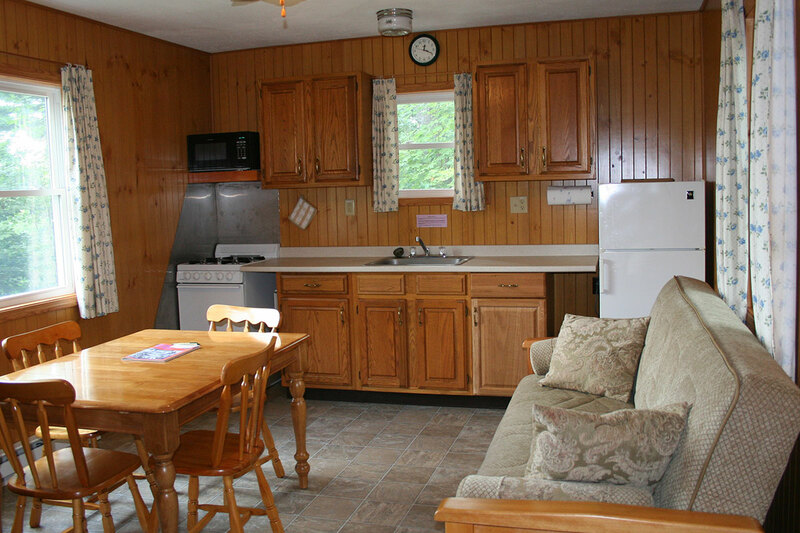 Cottage #18 – Kitchen and livingroom. 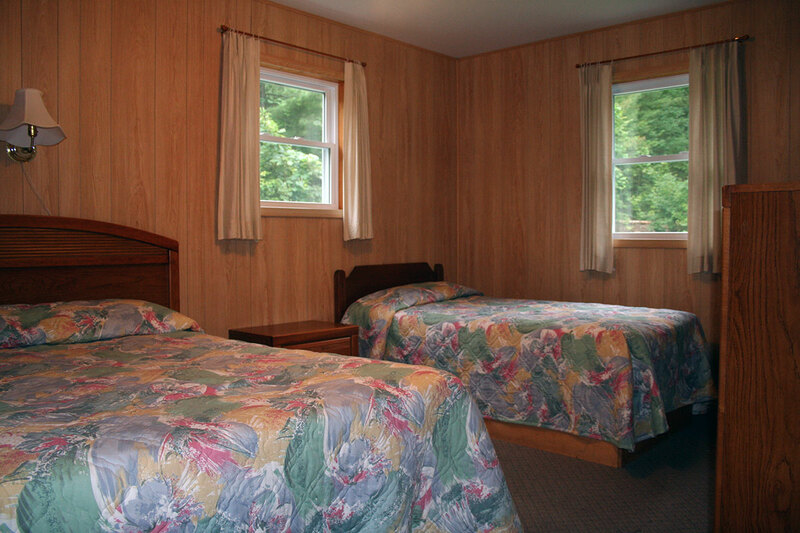 Cottage #18 - Bedroom with Queen sized bed and Twin Bed.